One of the phenomenal brands we carry is EcoStar. Their extensive product offering provides numerous alternatives to traditional steep-slope roofing products, offering an eco-friendly and aesthetically appealing solution for virtually any steep-slope application. Our product offering includes: Majestic Slate, Seneca Shake, Empire Slate, Empire Shake, Empire Niagara Slate and Majestic Niagara Slate. Offering superior performance and durability, these products are manufactured with recycled rubber and plastics and are highly flexible, sustainable and environmentally friendly. 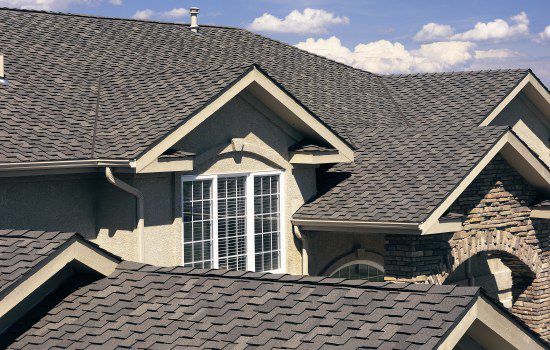 Providing superior protection against impact and harsh weather conditions, all EcoStar slate and shake tiles offer Class 4 impact resistance and are available with a 50-year Gold Star Warranty or 50-Year Limited Material Warranty.